Um... 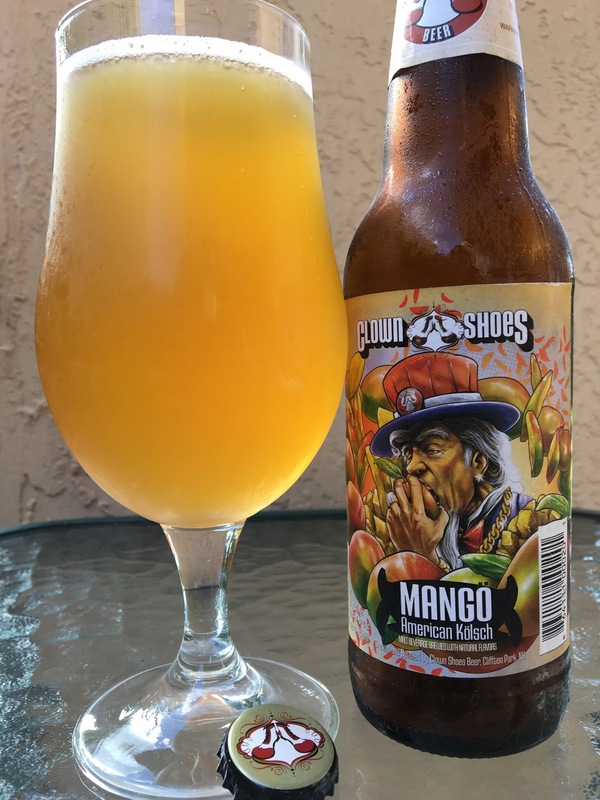 Welcome Back, Clown Shoes to the Miami market! We used to have dozens of beers from this brewery here at super reasonable prices. I used to think the awesome label art was a gimmick to buy the beers but quickly found out the product was legit too! Anyway, originally a Total Wine "Brewery Direct" option, these guys are returning with a more traditional distributor middle man approach, a little more pricey and definitely more limited options. Probably what they were going for right!?! Today I'm checking out Mango American Kolsch. Honestly, I can't understand the Crunkle Sam story on the neck label, something about bastardizing, and I really don't get the Barleywine mention at all. I think it has something to do with not following the German purity laws and adding in some Mangoes to the mix! The label art is awesome as usual! 5.5% alcohol. Sweet mango aroma. Crackery malty flavors to start with some floral hoppy balance. Sweet mango washes over the palate, juicy but not overdone. Maybe a hint of honey. Just enough bitterness and spicy nips at the palate to bring the sweetness into check. Nice beer.